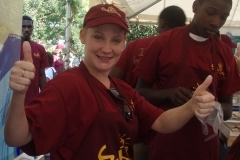 Experiential marketing event | designscape, inc.
Make your experiential marketing event buzz with an inviting and fun environment. 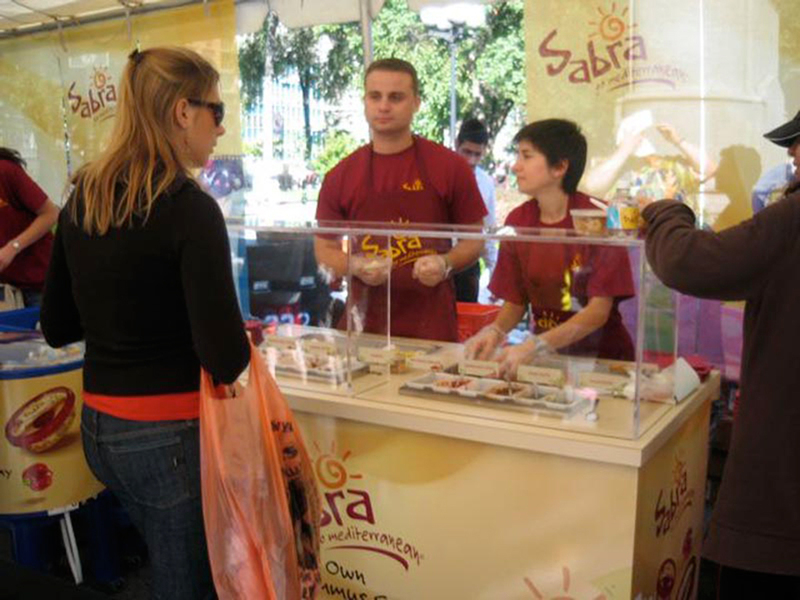 Sabra dipping company wanted to bring their new Hummus flavor toppings to their audience with an experiential and live sampling event. 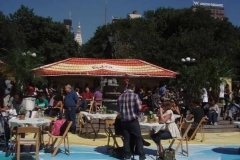 Designscape conceived, designed and staged a Mediterranean themed café in Union Square Park in NYC. 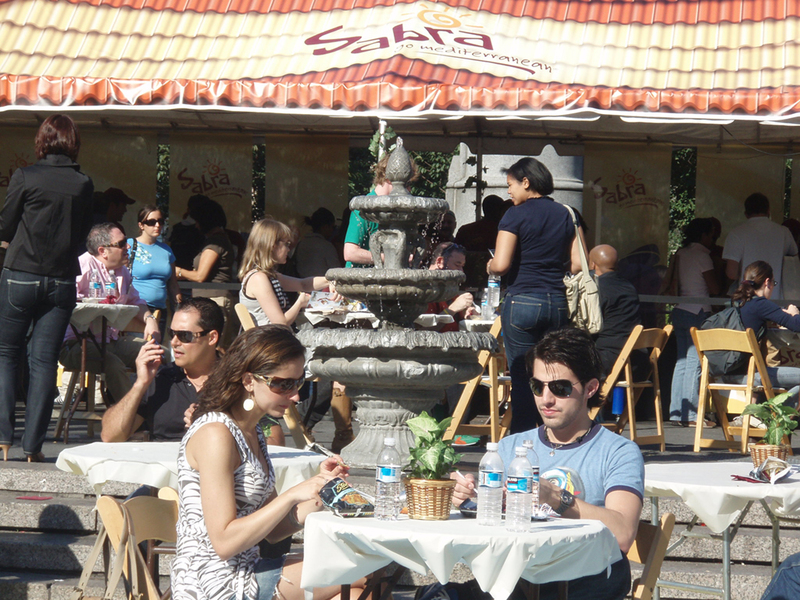 for Sabra Dipping company’s live sampling experiential event. 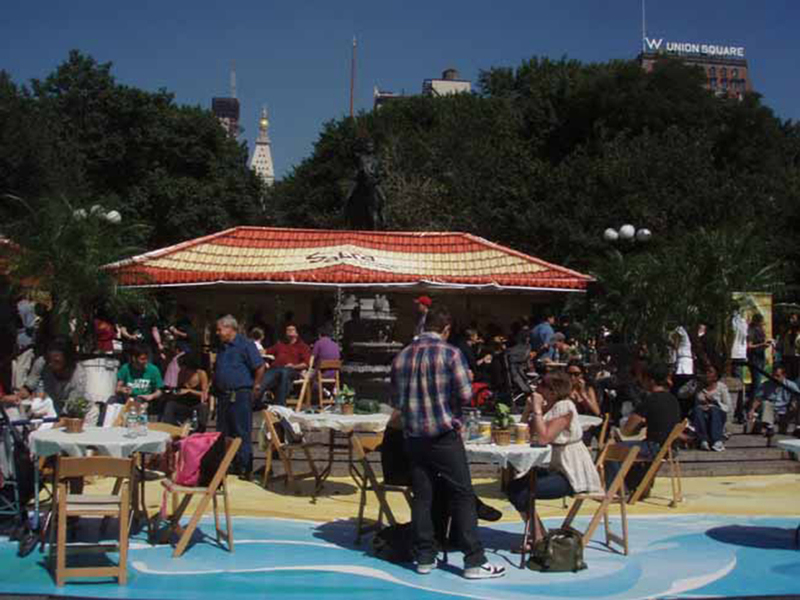 We brought in fountains, live palm trees, branded tents, and canopies, produced 75-foot printed graphic representing beach, water, and waves that surrounded a seating area with café tables and chairs. 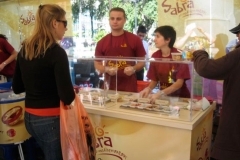 Designscape—offered samplings of Sabra’s 12 new hummus flavors. 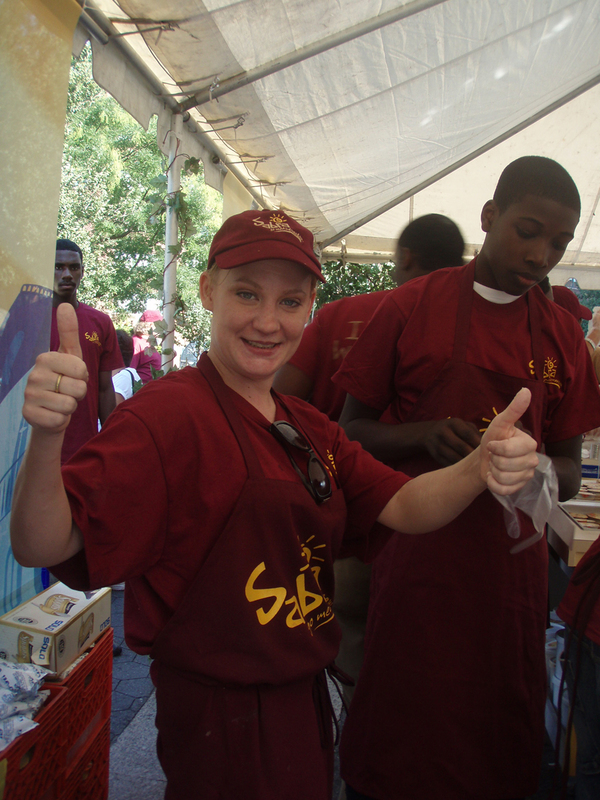 Designscape was also tasked with distributing 10,000 samples in six hours. 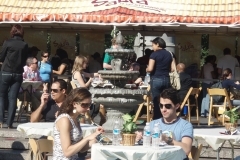 the environment created and wanted to branch out to other cities.